Vegan? Gluten free? Organic? 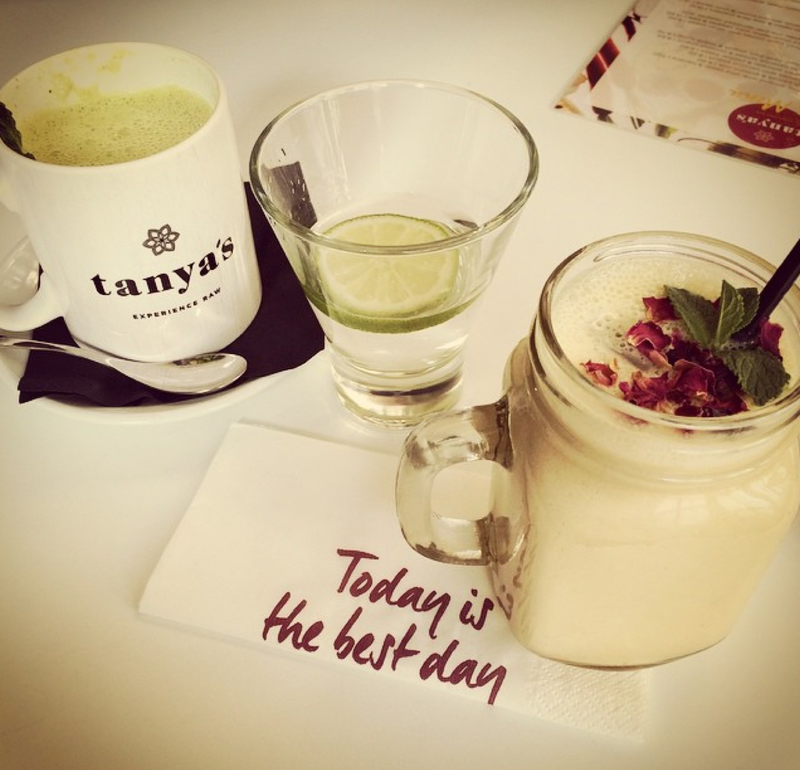 Tanya’s Cafe ticks very health box. 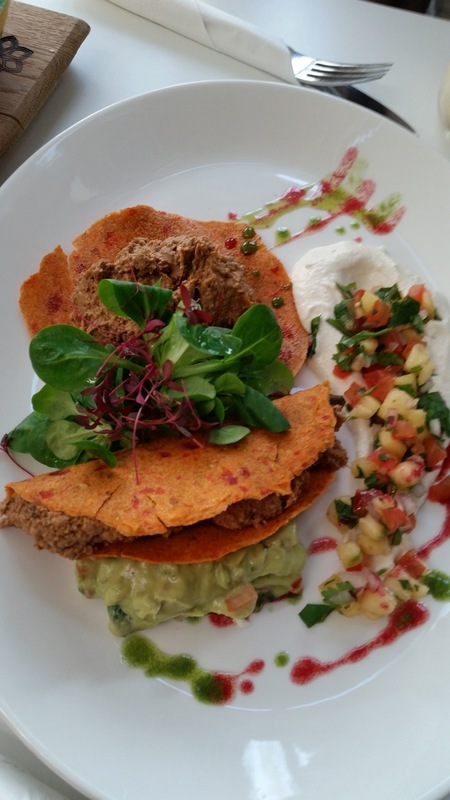 In fact, everything that comes out of Tanya’s kitchen is completely raw and full of nutrients. A place for yoga bunnies to meet up post work out and nibble on seriously delicious and raw food, there’s a bit of hype around Tanya’s at the moment. And rightly so. The food is amazing! It’s not cheap – but it really is worth the price tag. We ordered the tacos, which were the tastiest tacos I’ve ever eaten. Guacamole, portobello mushroom ‘meat’ and salsa in a dehydrated taco. 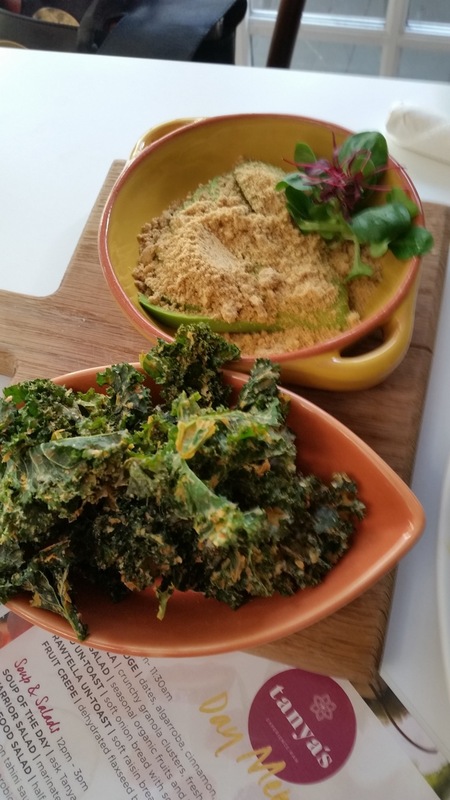 This was followed by crunchy munchy cheesy kale chips and avocado with super-seed mix. We skipped out of Tanya’s, satisfyingly full and glowing with raw-ness.